Singapore’s Changi Airport is undoubtedly one of the best airports in the world. 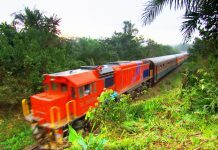 It offers a range of attractions and things to do for tourists, to keep them entertained for hours. So, if you aren’t aware of some of the amazing experiences and things to do in Singapore Airport yet, then you are in for a treat. Here is a list of some of the best things you can do at this airport to kill time and take a break. Yes, that’s right. 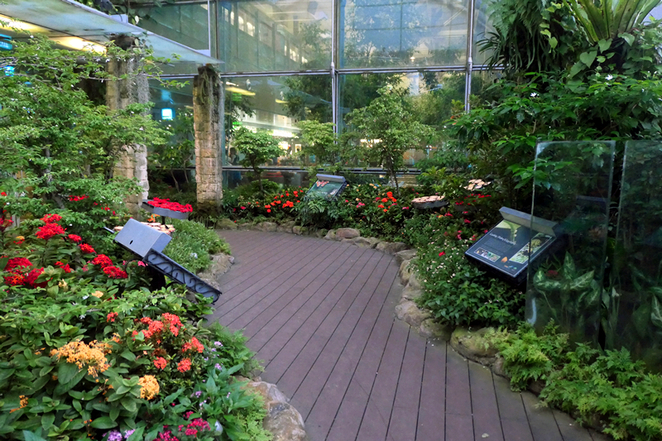 The amazing Butterfly Garden is situated on the roof of Terminal 2 and it is free to enter for all. This garden is home to over 1000 butterlies and up to 40 variety of species that you can learn about. You can learn about their lifecycle and even see the breeding and feeding of butterflies closely. Oh, there’s a 6 m grotto waterfall, that you can also check out if you want an Instagrammable picture. 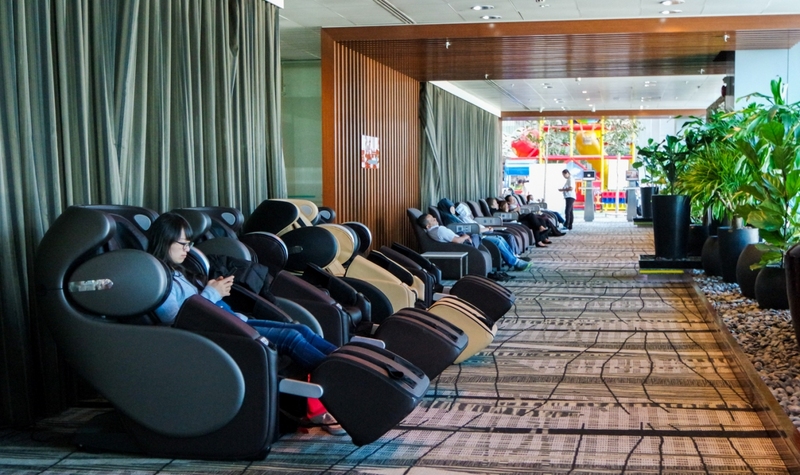 If you want to relax and pamper yourself, get a free foot massage throughout Terminals 1, 2 and 3. Most people make the mistake of thinking that this is a pay-for-machine but, you can actually just sit down and get yourself a massage for free. There are full body massage chairs also located near Wolfgang Puck restaurant in Terminal 1 that you can go to but you might have to wait in a queue for that. One of the best things to do at this airport is to watch a movie. 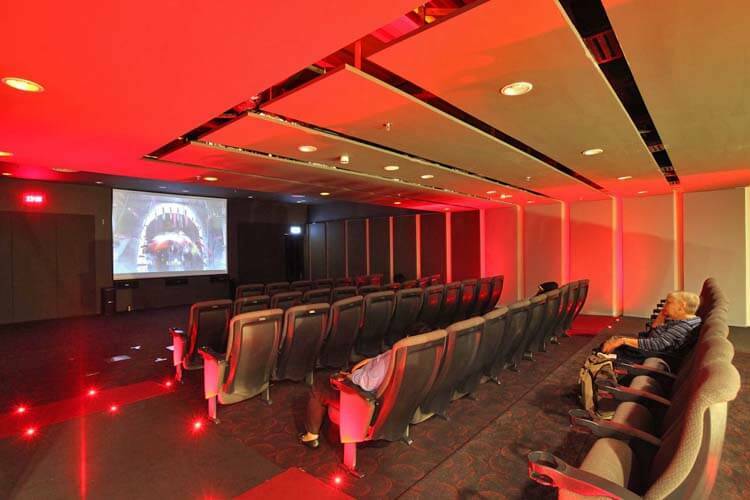 There are movie theatres in terminal 2 and 3 that you can go to, for chilling in the dark and for catching that film you’ve been wanting to see for a while. 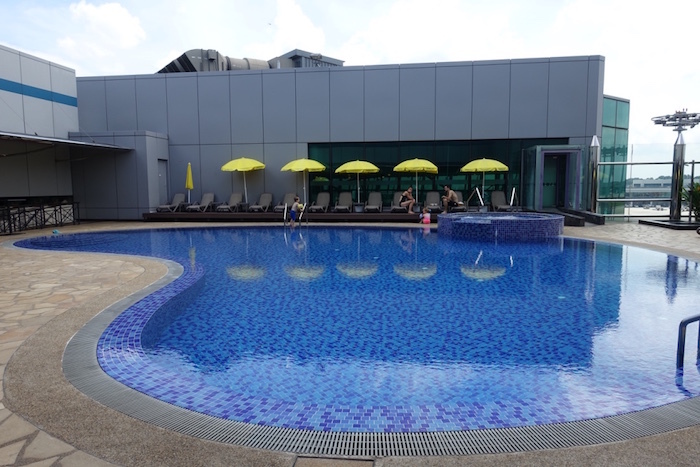 Visit the Aerotel Airport Transit Hotel, in Terminal 1, to access to their rooftop swimming pool. This surely isn’t free but it is definitely of of the best things to do at this airport. You can also get access to the Jacuzzi and hot showers. What more do you need? . 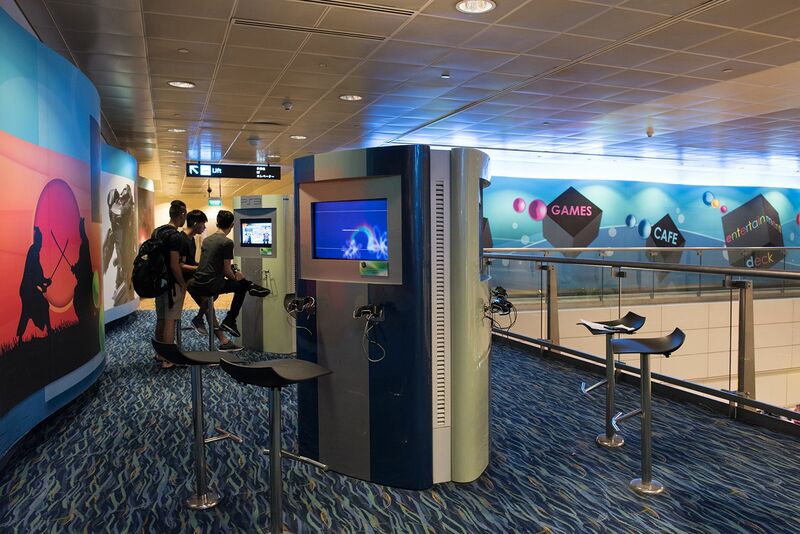 The Entertainment Deck on Level 1 at Changi Airport Terminal 2 has a range of gaming stationd to offer for all types of gamers. From X-box One, to Play Station 4 to Ninetendo Switch, they have it all. You can surely come here to de-stress and rejuvanate. 6. Who doesn’t like taking a nap? 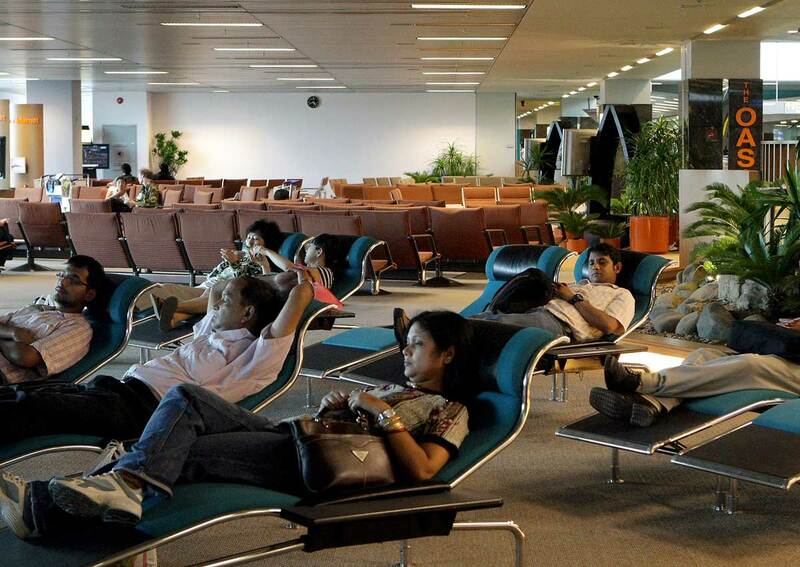 If you want to take a nap, and snooze for a while, just find your way to the designated snooze lounges located on the upper levels of Terminals 1, 2, 3 and 4. These quiet spaces have lounge style chairs that help you relax in a chilled out environment. This is the perfect alternative to the Changi Airport Transit hotel, if you are traveling on a budget. 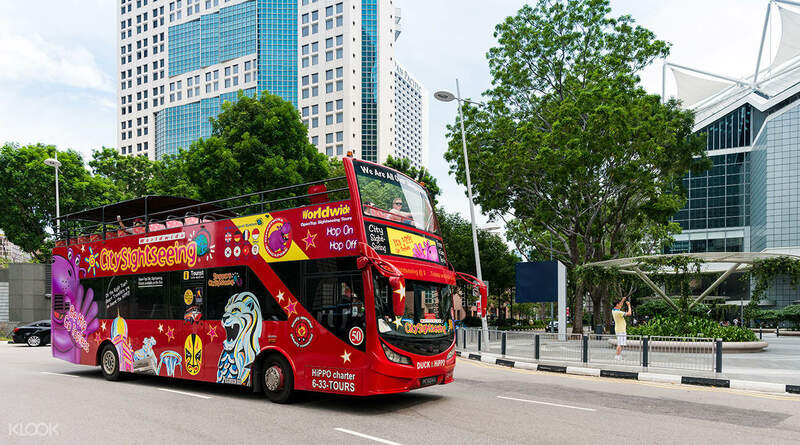 Don’t miss out on taking in some of the cities amazing sights, while you are on your layover in Singapore. This city tour can be aviled from Terminal 2 and 3, and it is free for all transit passengers who have more than 5.5 hours to kill. Here’s a fun fact. 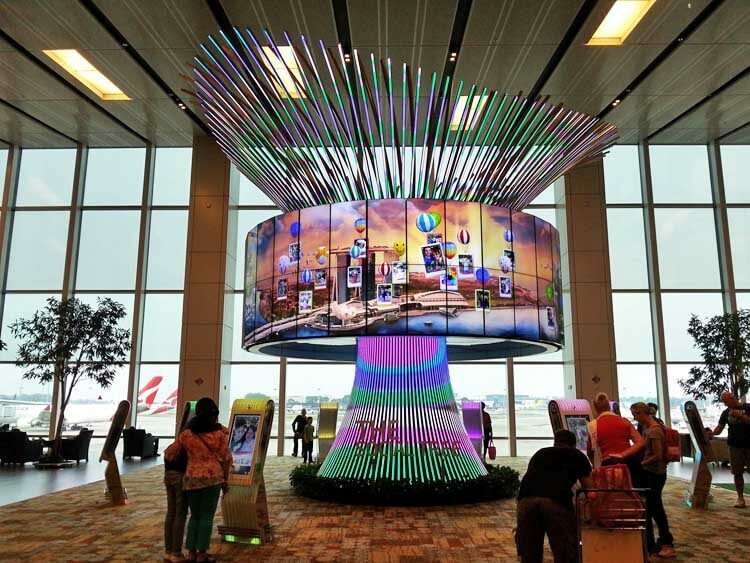 The Social Tree is Changi Airports largest interactive installation. There are eight touch screen photo booths, surrounding the tree that allow you to ‘attach’ your photo and videos onto its crown. This is saved into a memory capsule to be part of Changi’s history for decades. How cool is that?